If your company name is Super Awesome Photo Booths and your domain is superawesomephotobooths.com, this will not work without breaking your site. You will need to create a SUB domain with your registrar. The subdomain would be like pics.superawesomephotobooths.com or gallery.superawesomephotobooths.com. You can also buy a completely new domain and use this. For this step you will need to contact your registrar or hosting company. The process is different for each one and we cannot provide support for this. Set the A record IP address to 96.126.123.235 for the new sub domain or domain. Custom domains is only available on the AGENCY plan. 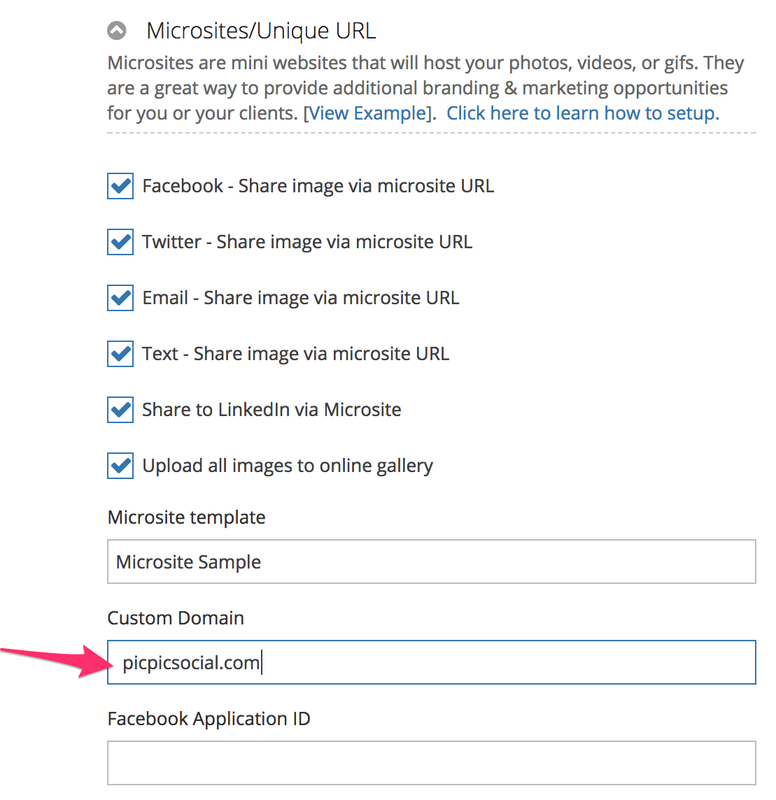 If you have this plan you will see the with PicPic Social and place the custom domain into the Microsite settings. Place your Custom Domain in that specified space above once it is completed and save the event.